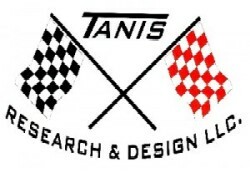 How to Replace a Rudder Port – Tanis Research and Design LLC. This can be a challenging but straightforward process, take your time & call if your not sure of anything. American Skiers have a pretty tight area under the fuel tank to work with. Position the boat on the trailer so the rudder is clear to drop by the trailer skid frame, if needed launch the boat & re-load keeping the bow about 8-10” from the bow stop. I also like to pressure wash or clean the bilge before working in this area, it will be messy. Remove the steering cable from the tiller arm. Remove large cotter pin (if equipped) from the top of the rudder post above the tiller arm. Place 5 gal. Catch bucket or anything “soft” to catch rudder from falling the the floor when it comes out. Remove tiller arm bolt at rudder post, rudder may fall out at this point, if stuck you may need to rotate so the “split-open end” of the tiller arm is showing so you can carefully drive a wedge or large screwdriver into arm to pry it open a bit. THERE IS A SMALL 1/4” KEYWAY THAT NEEDS TO BE ACCOUNTED FOR. With rudder out, remove the (4) bolts holding the rudder pot in place. Carefully warm up rudder port with HD heat gun to about 200deg. To get the 3M5200 adhesive caulk to soften up & slowly pry the parts from the hull. Remove grease fitting, pre-fit new port, minimum thickness of the hull where the port is should be 1/2” may need to die-grind the bottom to get the port base to fit into the hull bottom recess. Clean old bolts, replace if needed, apply liberal amount of 3M5200 caulk to new rudder port base around the shaft, push into the hull with the grease fitting hole facing forward, have someone hold the port up while someone inside the boat applies more caulk around the port, drops the backing plate over the port into caulk. Then bottom person pushes the bolts up while the top person WIPES THE THREADS CLEAN and installs the flat washer & locknuts. Tighten all bolts, clean up caulk which should be ozing from everywhere. Add additional caulk on the bottom side to fill any gaps between the port & hull recess, use putty knife to smooth & make clean, may use masking tape to look better. Replace grease fitting in port, apply grease by hand to new rudder post, PUSH STRAIGHT UP WIGGELING, WITHOUT TWISTING into port (twisting can cause the shard edge of the keyway to cut/damage the o-rings inside the port) A floor jack is great to hold the rudder up while assembling the tiller arm. Install tiller arm and keyway, tighten tiller arm bolt, NOTE: if reusing a rudder with a bolt grove machined into the post you may need to have nylon washers to shim between the top of the port & tiller arm. Replace safety cotter pin. Pump a couple pumps of Marine trailer bearing type grease into the fitting. Rotate by hand, there should be no sloppy play, just smooth rotational travel. Re-install tiller arm to steering cable. CAUTION: When assembly is complete turn the steering wheel all the way to “pull” the tiller arm FORWARD, then check to VERIFY that the tiller arm and steering cable IS NOT STRAIGHT, there should still be at least 10 deg angle between the tiller arm and steering cable, if not you must adjust the steering support tube aft (loosen the (4) bolt clamp around the tube). This is to ensure that the tiller arm cannot “Flop-over” to the other side and be drawn into the propeller!